Recently we posted first part of our Bluetooth research diary. Today, we want to continue on that topic and tell you about Bluetooth proxying and packet replay with a new tool. About two months ago the Bluetooth SIG renamed their latest standard, which was previously known as “Bluetooth v4.0”. When version numbers get higher and higher marketing likes to interfere and try something new. In this case: Bluetooth Smart. Sounds smart, but is it? http://en.wikipedia.org/wiki/Bluetooth#Bluetooth_v4.0 (sounds more like a marketing text than a proper technical specification, but gives you a rough idea what you as an end-user can expect ;)). So we’re talking about the usual stuff: Lower energy consumption combined with more functionality. Great! Sounds smart, but is it safe? And back to security: Either you trust the Bluetooth committee which states “Bluetooth technology is an industry leader when it comes to wireless data security.”, OR you ask somebody who would tell you the plain truth (given there is one): Michael Ossmann. We did the latter and invited Michael to talk at TROOPERS12. He is a wireless security experts who also makes hardware tools to progress with his research. 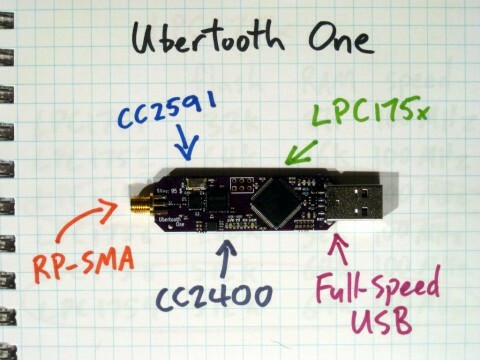 In early 2011 he successfully crowd-funded his latest gadget: Ubertooth One. A very capable Bluetooth monitoring device.